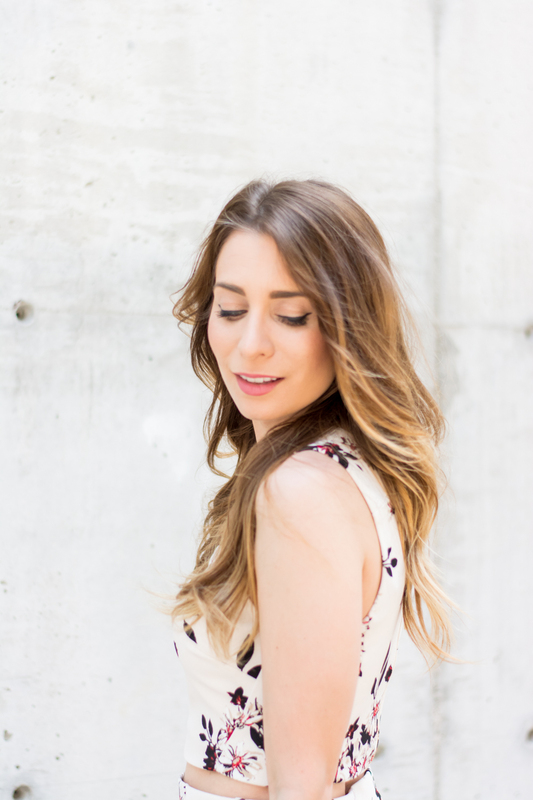 OOTD - Two Piece Floral Dress | La Petite Noob | A Toronto-Based Fashion and Lifestyle Blog. I love two pieces so much! So versatile since you can wear both separate or together. This looks gorgeous on you... as per usual, my dear! My go-to outfit it definitely a skirt and crop combo, too. So perf. This look is so chic! I love the floral print. So true! Something about a warm breeze that is so comforting - and I'm always really to celebrate when no jackets are involved! Shorts and dressy tops sounds awesome! Such a gorgeous and beautiful two piece dress! Love the floral print! I agree Annlouise, this two piece dress is so beautiful! I love floral print too! You pull off the matching skirt + crop top sets so well!! Awe thank you Kris! I just love having a no-brainer outfit LOL! I think floral pattern is happening now. Thank you so much Yuliya! I'm looking the two-pieces for summer too! This two piece looks gorgeous on you, so chic and cute!